You might think we take the SATs seriously, but the Chinese educational authorities are taking it to a whole new level. Similar to the SAT, performance on Chinese college entrance exams have a major impact on where students are placed for college. This, in turn has an impact on future employment choices. As a side effect of the importance of these exams, cheating became common. How are the Chinese educational authorities responding? With drones of course. 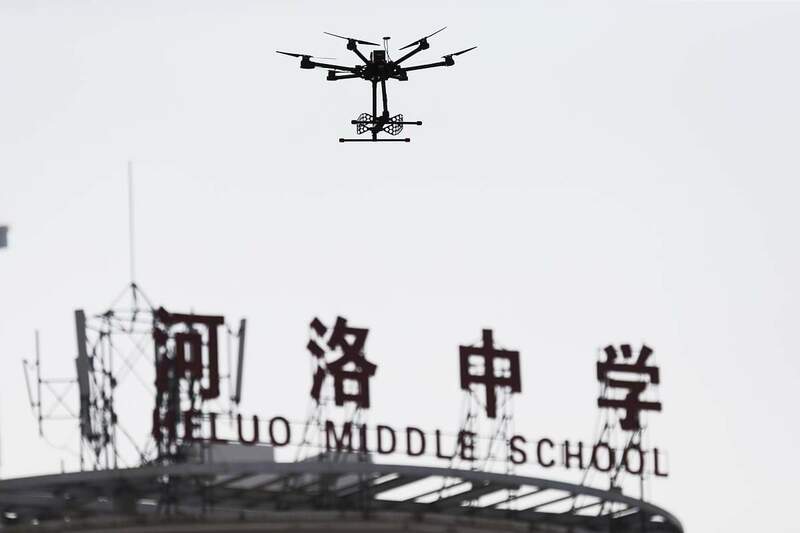 Chinese education authorities flew a drone over two testing centers in Luoyang, China on Sunday in an effort to curb cheating on the National College Entrance Exams. The drone, with six propellers and as big as a gas pump, scanned for signals potentially being sent to devices that were sneaked into the test, The Guardian reports. The drone can fly as high as 1,600 feet above the ground and cost hundred of thousands of yuan (tens of thousands of dollars).